WeeChat is a fast, light and extensible chat client works on Linux, Windows, Mac OS X, Unix, BSD, and GNU Hurd. 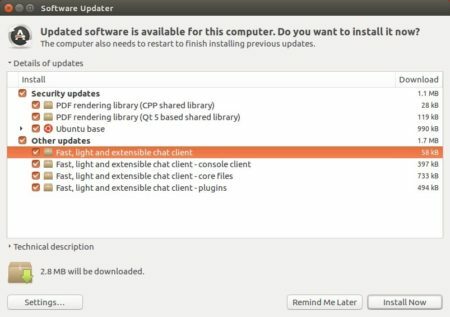 While Ubuntu repositories only provide an old version, here’s how to install the latest WeeChat via its official repository in Ubuntu 16.04, Ubuntu 14.04, Ubuntu 17.04, Ubuntu 17.10, and derivatives. lightweight core with optional plugins. For Linux Mint 18.x, replace $(lsb_release -cs) in the code with xenial. And type in your password when it asks and hit Enter. 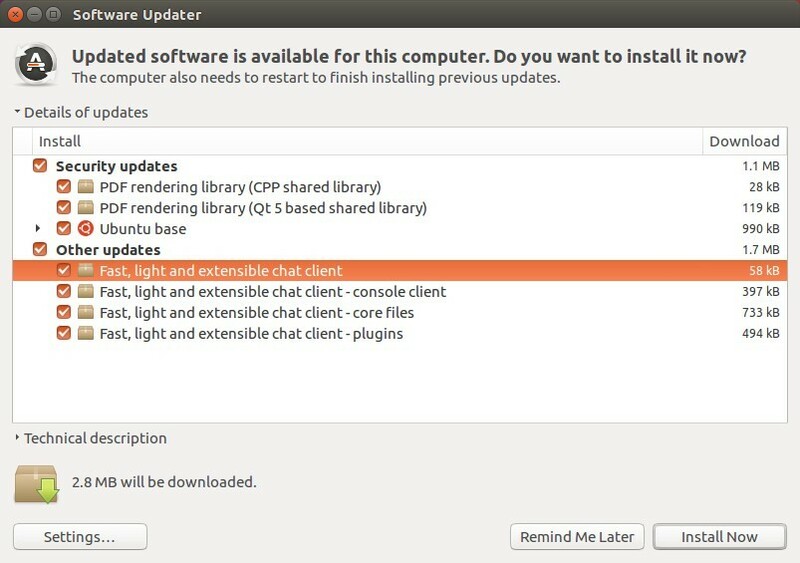 For those who want to install the latest development release (2.0 so far), use weechat-devel instead in the command above. And remove the official weechat repository via Software & Updates utility under Other Software tab.